The Okinawa Islands――They constitute only 0.6% of Japan's land area, but are burdened with 74% of the nation's U.S. military bases. A documentary that closely follows the people's struggle against the construction of a new U.S. military base in Okinawa, revealing not only their deep sadness and anger but also their warmth and humor. Towards the end of World War II, brutal ground warfare overwhelmed the Okinawa Islands. One in four Okinawans died, in a sacrifice of the lives of around a hundred thousand non-combatants. Postwar, the U.S. military used its governance and force to construct military bases throughout Okinawa. Even today, 43 years since its reversion to Japan and 70 years since the war, the percentage of facilities exclusively for use by U.S. military and clustered in Okinawa comprise 74% of all such facilities in Japan, and tens of thousands of soldiers are stationed in the archipelago. Now, as part of the construction of a brand new military base, plans are proceeding to build a landfill in a beautiful ocean where rare coral and the vanishing dugong make their home. 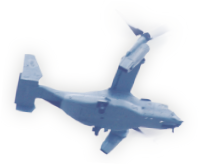 Most Okinawans are opposed to this base, which would include the installation of a huge naval port and deployment of a hundred of the new transport aircraft known as the Osprey. 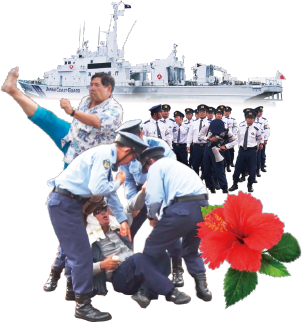 The public has continued protesting, on sea and on land, trying to somehow stop the construction, while blocking their way are the Okinawa Prefecture riot police; Okinawans clashing head-on with other Okinawans, sundered by national policy. Okinawa's rage has boiled over. In the November 2014 election, ONAGA Takeshi became Governor of Okinawa in a landslide victory on a platform opposing new base construction. Even the House of Representatives results shoved Okinawa's base opposition in the face of the Japanese government. But the national policy remains in place. Tensions build daily at the scene of the protests, with injuries and arrests... What is actually going on right now in Okinawa? Violent confrontations are not the only subject of this documentary. It also reveals the thoughts and histories of the local people who have had to live side-by-side with the U.S. military bases, the rich culture and way of life they have carefully nurtured in spite of Okinawa's harrowing history, and the singing and humor they have maintained even amidst intense struggle. The film poses Okinawa's wish to the world, that an end be put to seventy years at the mercy of conflict. Led to believe that the bases are for training and that Japan has not been at war in all this time, the Japanese people have conveniently looked the other way, but they must confront the laments of an Okinawa that has been trapped for seventy years. My nineteen years at an Okinawan television station made me keenly aware that the story had to be re-told with this in mind or it would not reach people. Okinawa, led by the Governor, is in an all-out confrontation with the State. But what it wishes to stop is what the State of Japan seeks to bring back, war itself. Knowing this, Okinawa does not succumb. At the Henoko gates and on the sea, the face of authority assailing the people of Okinawa is transformed into the police, the defense bureau, and the coast guard. They restrain the unarmed protesters. But every person pinned down has a voice with which to sing. In an instant, the height of anger becomes laughter, and the people regain their spirits. As I shot this film, I sensed unmistakable tremors. The rumblings that this unified island-wide struggle have awakened will surely become a major earthquake, spreading to all of Japan, and then the world. MIKAMI Chie is a journalist and director. Entering Mainichi Broadcasting System as an announcer, she moved to Okinawa when Ryukyu Asahi Broadcasting Corp was established in 1995. Concurrent with her duties as the main local news anchor, she has produced numerous documentary programs on topics such as Okinawan culture, nature, the Battle of Okinawa, and the issue of the U.S. military bases. Her programs have won numerous broadcasting awards. Her first feature-length documentary “The Targeted Village” (2013) won both the Citizens' Prize and the Directors Guild of Japan Award at the 2013 Yamagata International Documentary Film Festival. 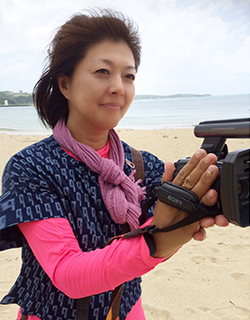 In 2014, she departed Ryukyu Asahi Broadcasting and presently works as a freelance journalist and film director, in addition to teaching Okinawan folklore at Okinawa International University as an adjunct professor. “We Shall Overcome” is her second feature-length documentary.